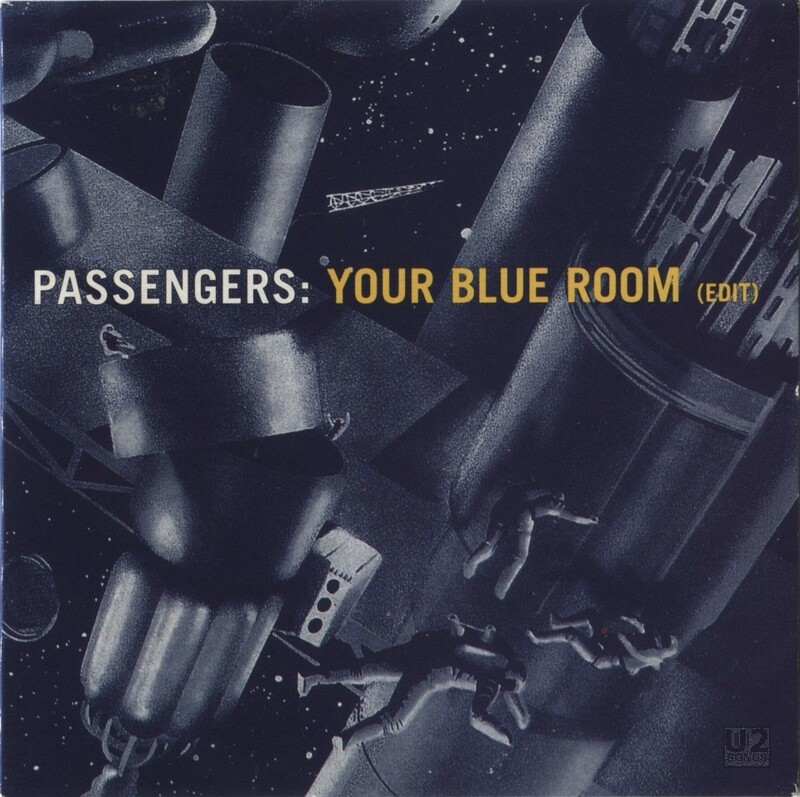 The entire Passengers Original Soundtracks 1 project was a departure for U2. To this day people argue whether or not it is indeed a U2 album. I happen to fall on the ‘yes’ side there, and hold up the inclusion of “Miss Sarajevo” and “Your Blue Room” on The Best of 1990 – 2000 as an indicator that yes it does count. The whole project was a bit of a departure. And that included the cover of the album. The album artwork is announced in the booklet. 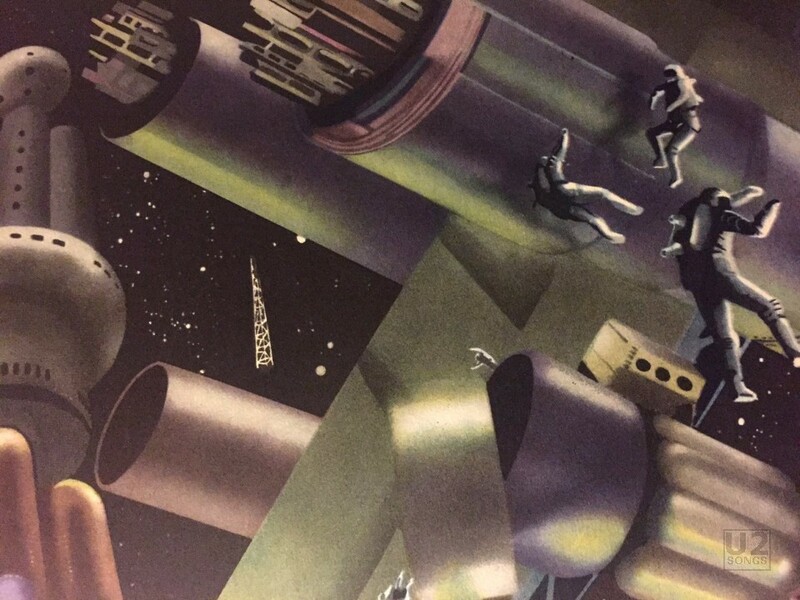 The sleeve and concept is attributed to Brian Eno and Cally, and the illustration for the front cover is attributed to Theodor Rotrekl c/o Aura-Pont, Prague. This is one sleeve in which Averill and the crew at Amp Visual had no participation. The whole thing was put together by Eno and Cally. “Cally” was the nickname of the art director for Island Records, Martin Callomon. Cally worked for Island for years, as art director, and was responsible for work on covers of albums such as The Cranberries Ode to My Family, PJ Harvey’s To Bring You My Love, Nick Drake’s Magic, and also the cover for “In the Name of the Father” the single by Bono and Gavin Friday. U2 typically chose to use their own design team in design of album covers, so Cally had done little work with them prior to the Passengers project, and indeed, it was Brian Eno he worked with on the art for this project. Along the way several other titles and ideas for how to release the album were suggested. The album went through a series of titles, including “Frames”, “Blue Films”, “Late Movie”, and “Cinema”. Paul McGuinness even suggested calling it “Music for Films 4” after a series of albums Eno had worked on, most likely hoping that would connect the project more to Eno than to U2. For the longest time the album was titled “Always Forever Now” and at the time Eno was pushing to use a bulls eye on the cover of the album, and it was Cally who presented Island’s worry about the album being confusing for U2’s fans. Eno suggested, “I resisted to the last, for a whole ten minutes, and said I thought everyone was being bloody cowards.” But it was out of that discussion that the Passengers concept came about. And shortly after that the idea for the cover was finalized. 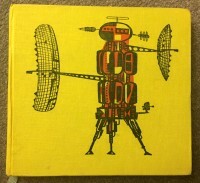 The cover itself is a painting credited to Teodor Rotrekl. Many may assume that the painting was an original done for this project but in reality it was an earlier painting of Rotrekl’s. We’ll get to that in a moment. Rotrekl was born June 6, 1923 in Brno, in the Czech Republic. He passed in September 2004. During his life he was a prolific painter and illustrator, mostly known for illustrations of science fiction. Think back to those illustrations of the future, and man going into space from the 60s, that was the type of thing that Rotrekl was famous for. And in 1963, he illustrated a children’s book Šest dnů na Luně 1 written by Ivo Stucka. And it was that book from which the cover for Original Soundtracks 1 came from. A 1963 childrens book from the Czech Republic. How it made it into the hands of Cally and Eno is unknown but it is from here that the cover was taken. The full image stretches across two pages in the book, and for the cover only the right side of the image was used. In the book there is text which reads “Montaz plazmove rakety u mesicni druzice Luna 3” which translates to “Installing the plasma rocket with the satellite Luna 3”. The Aura-Pont mentioned in the credits is a Czech private art agency which represents a number of Czech artists, and it is through them that U2 would have arranged to use the cover. 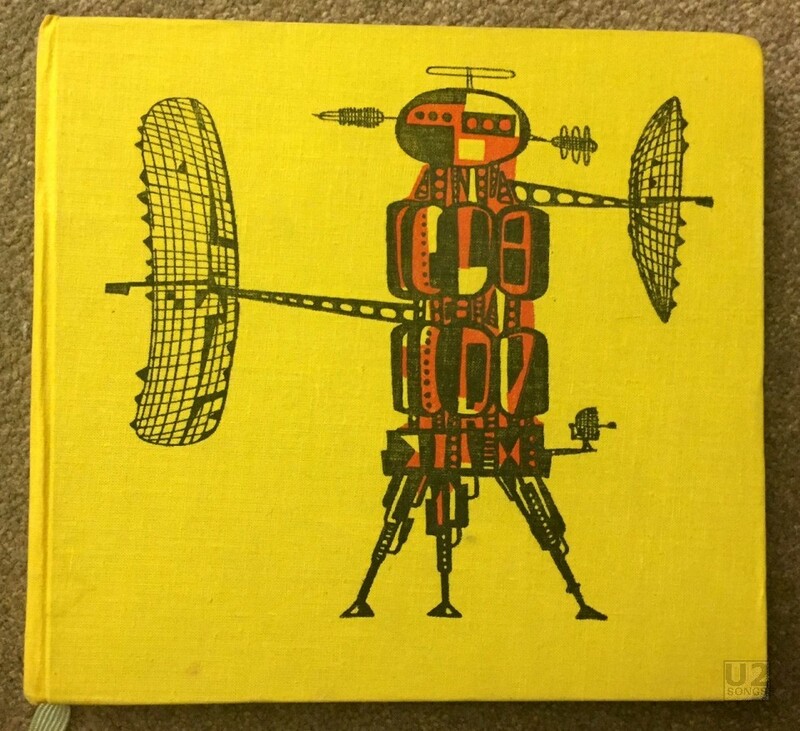 If U2 were ever to do a Passengers 2, or get around to doing a release of the material that Eno has said exists from the first project, there are plenty of other beautiful Rotrekl paintings in Šest dnů na Luně 1 that they could choose from to use as a cover for such a collection. 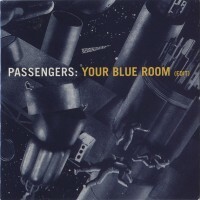 Photoshop treatments of the original art were used for the cover of promotional CDs such as “Your Blue Room“ and the Passengers “Radio Documentary“. A special thank you to the blog at Planet Eden.